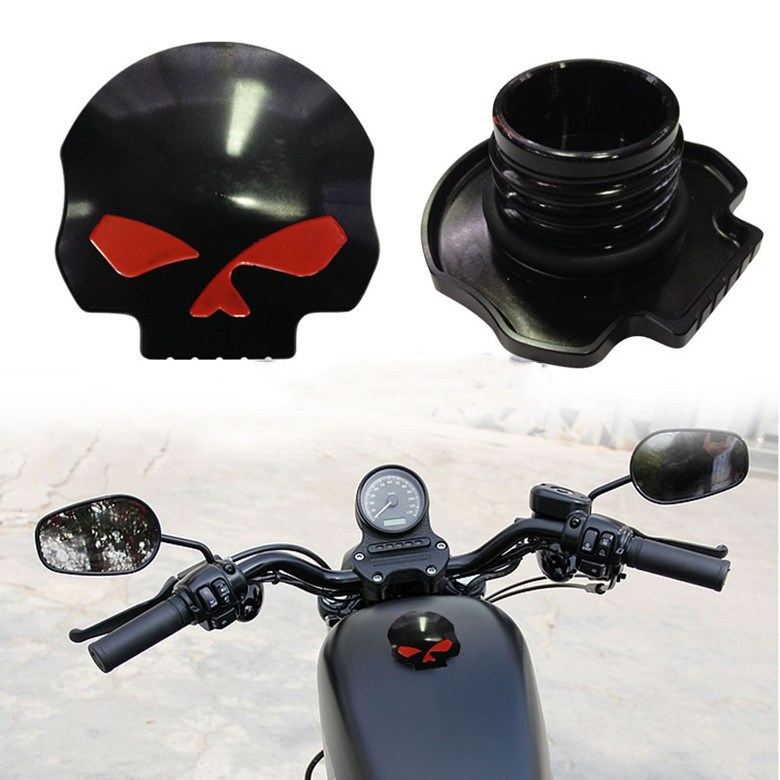 Successfully Added Motorcycle CNC Aluminum Fuel Gas Oil Tank Cap for Harley Davidson-Black to your Shopping Cart. -- High quality, durable CNC aluminium alloy fabric is super wear-resistant and corrosion-resistant. -- With the fashion cool skull eye style, looks much different and unique, as a perfect decoration for your motorcycle. -- Easy installation. This cap comes with rubber seals, for a stronger and better tightness. -- Fits general Harley-Davidson models, the professional and delicate workmanship ensures the quality using experience.